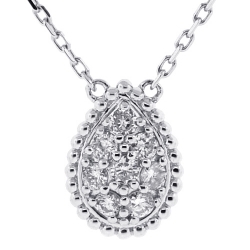 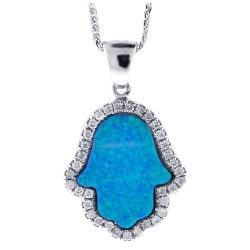 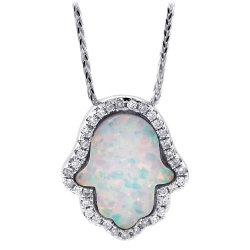 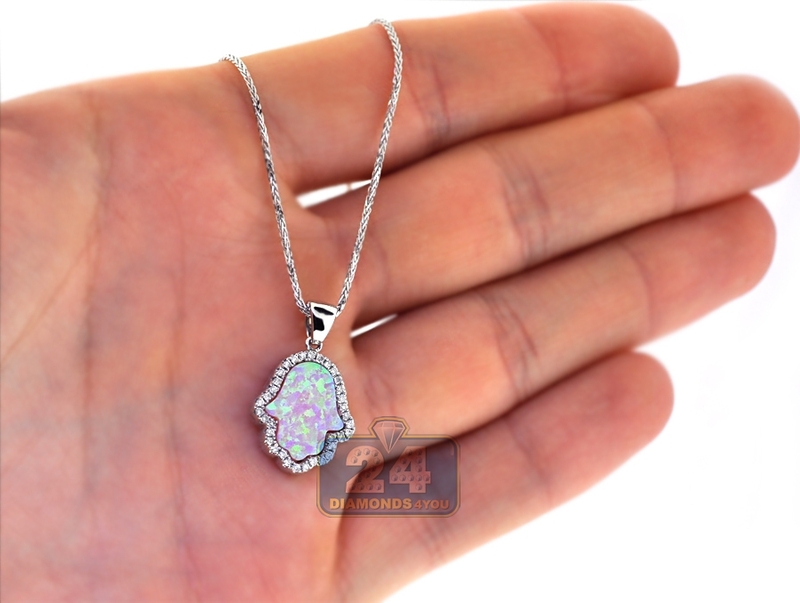 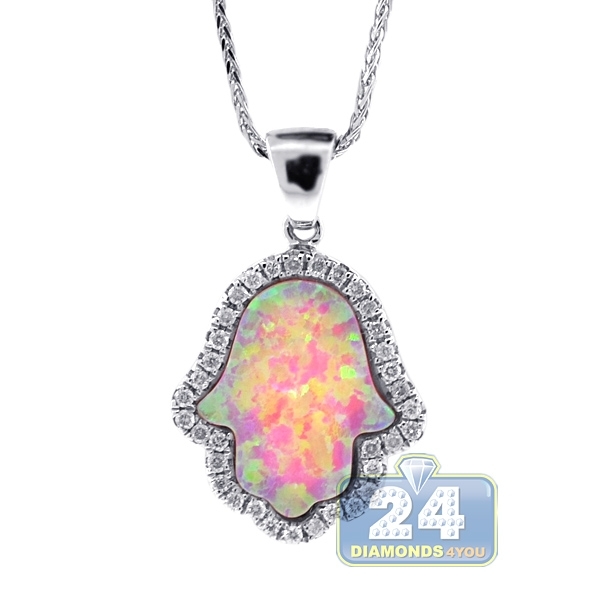 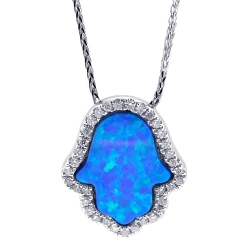 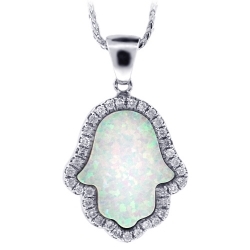 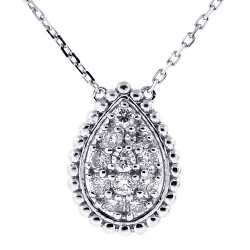 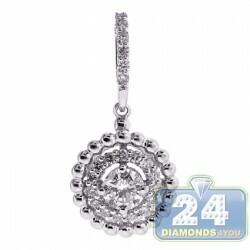 Classic look is newly designed in our lady's Hamsa Hand pendant! 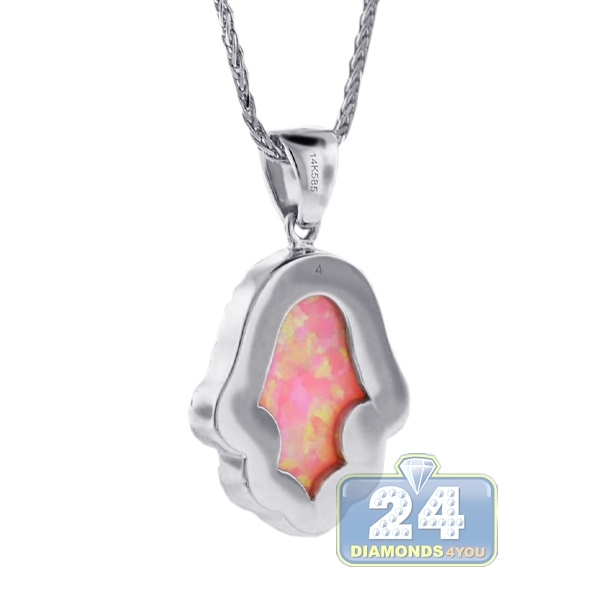 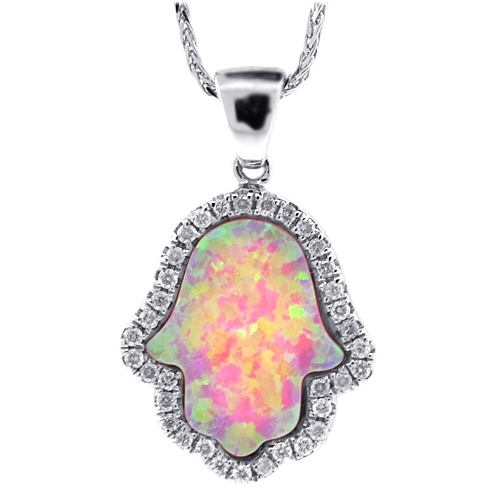 Professionally crafted in lustrous 14k white gold, it has natural pink opal in center and icy white round-cut diamonds around. 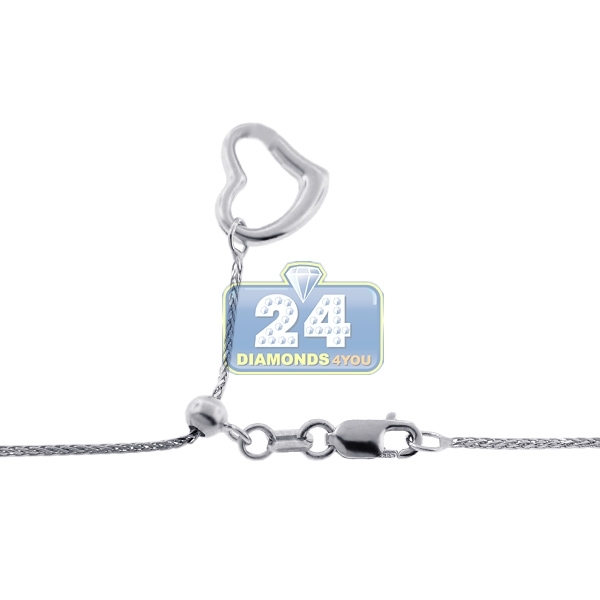 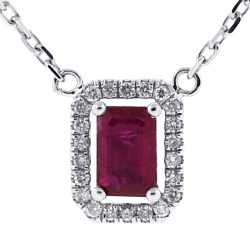 The piece of jewelry suspends from 18-inch chain that can be reduced by sliding the adjuster on the clasp. 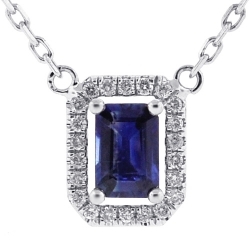 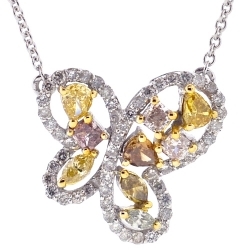 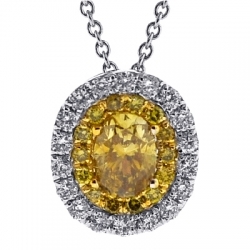 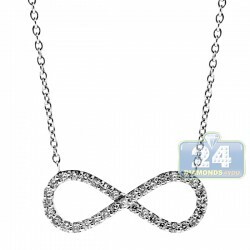 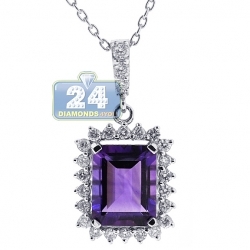 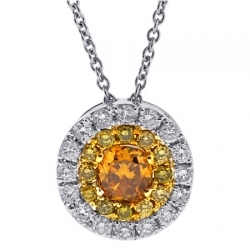 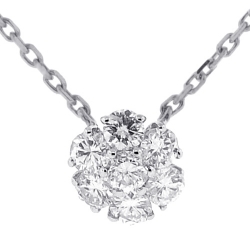 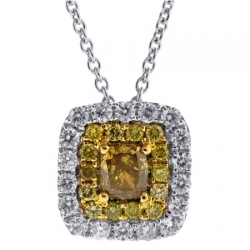 Shimmer with this breathtaking lucky necklace!